PC Reports are a series of quick first impressions regarding the technical aspects of a PC game. 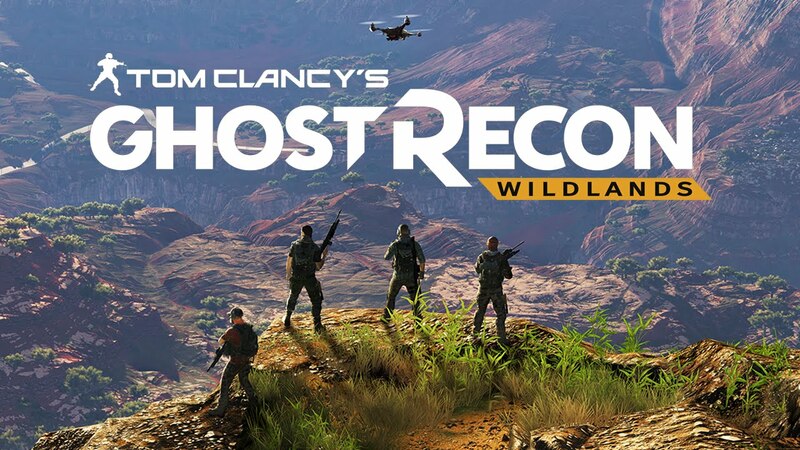 For an up to date account of Wildlands fixes and improvements, please visit its respective PCGamingWiki article. Developed and published by Ubisoft. The game was released on March 7, 2017. The minimum system requirements are really minimum and may not be enough to feed you 60 fps at 1080p. Neither is there many graphics cards that will operate with stable 60 fps in the Very High preset. Some settings will generally not make a difference with the look of the game. This game is very GPU intensive, Nvidia released game-ready drivers for the game yesterday which should help performance - but doesn't really help with performance. Feels like the game isn't optimized correctly, as it can't handle the medium preset settings without going under 60 FPS constantly. Just having the game minimized in the menu takes ~60% of my CPU power. The benchmarks are based on the Low and Medium preset to save as much GPU power as possible. The game has five presets, from Low to Ultra. Ultra uses about 4.5 GB of ram and ~5 GB of VRAM which will require a very high system for stable framerates. Slider that goes from 0% to 100%, and doesn't seem to affect performance. The game has support for either SSBC or HBAO+. I keep it disabled for that extra bit of performance and don't feel a difference anyways. Allows for detailed textures in longer distances. The shadows look well in this game but have a heavy cost in performance. Starting with the High setting, the game will use noticeably more RAM. Increases the draw distance for vegetation, and improves details to existing textures. Resolution scaling can be used to refine edges and enhance textures beyond Ultra settings. Strangly the game only supports FXAA and TAA - but For Honor (which is developed with the same game engine) also has support for SMAA. Possible that the developers forgot to add it, and may come in a future patch. Seen in the image below, FXAA is the best choice but because how it works it will make the game appear more blurry. I get distracted by the bloom in this game and it often makes you unable to see outside as bloom acts like a blur. Reflections in this game aren't bad at all compared to e.g. Battlefield 3. They are not distracting and can easily be disabled if you wish to, and shouldn't cause a performance hit. Disabled in some of the presets as default and should be turned to 16 samples to achive the best texture fidelity for a extremly small performance hit. The rocks are in higher detail, the road is in higher quality. We're talking a 1 FPS difference in average, seriuosly people turn it to 16 samples! Looks good outside, but I find it distracting sometimes as it makes my screen darker so I turn this off. There is no way to remap controller binds at the moment but sticks, bumpers and triggers can be swapped. Good thing they left acceleration disabled as default, raw input is missing but I don't notice any acceleration issues with the game. Something that bogs me is that voice chat is enabled by default and uses a poorly implemented Open Mic Sensitivity Mode which tries to detect whenever you're speaking to sort out noise. You should also change Microphone Volume to your preferred mic gain, because the game sets will set it to 100% which is annoying since not everyone wants to use 100% gain as it picks up a lot noise and will ignore what you set in Windows. Strangly the game only supports FXAA and TAA - but For Honor (which is developed with the same game engine) also has support for MSAA. For Honor has SMAA, not MSAA. Thanks for the spot! Hawaii Beach has now corrected this in the article. Great work on this as a first report. Thanks Pridit for liking the report! Excellent work this. And those comparison shots are much appreciated since they've saved me a lot of time finding some decent settings without losing too much image quality.